I just received an email from Amber, one of our staff members in Cofradia, (click here to see her blog) of a report on how the youth are doing. 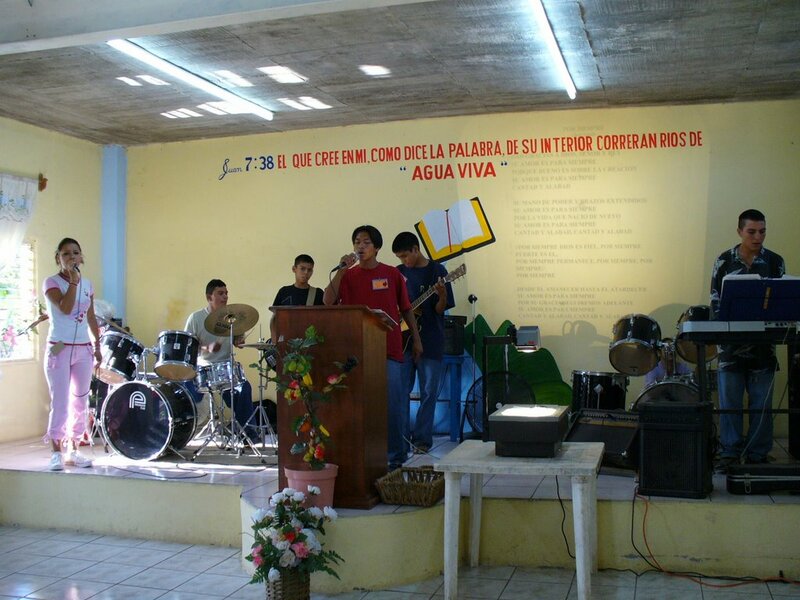 There was a youth event at a church that we have relationship with in a town just north of Cofradia and Arrayanes. They invited OUR youth to do worship and I'm sooooo proud of them! 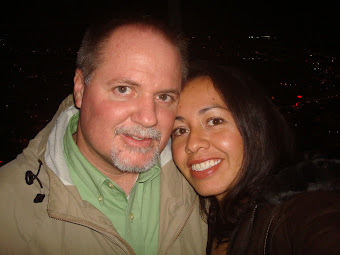 Hey Steve and Gena...I thought you might enjoy this picture. We took the youth to a youth event in Rosa Morada last weekend. 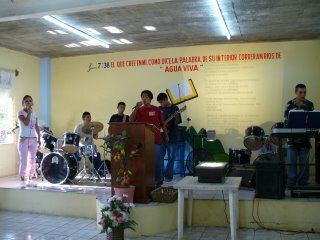 They had asked our worship band to lead worship for the event. This pic is from the initial worship service that started off the event. It was the Cofradia band, plus Mili on vocals with Chupa. They did SUCH a stellar job. The coolest thing was at the end, the speaker was "brining it home" and asked if someone could come up and play guitar just softly in the background, etc. So, Julio went up. You could see in his face that he wasn't really sure what to do, but he started playing one of the songs we had sung during worship and it was great. Well as the speaker was finishing her "bringing it home" and beginning the altar call/prayer time, Chupa led the rest of the band up there to join in with Julio. They played really well in the background, with Chupa singing softly, for 30-45 minutes. It was so neat to see that. They were just following the Spirit's leading and it was awesome! I thought you might like to hear that story seeing as how I know you have been working really hard with these kids in these bands to instill leadership, etc...well the Lord has been working even harder, and it's showing!